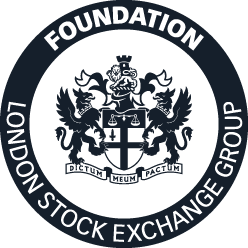 In 2017, School-Home Support (SHS) was selected through a staff vote as London Stock Exchange Group’s (LSEG) new UK charity partner. The three year partnership was launched in January 2018 and will make a significant impact on the educational outcomes of disadvantaged children. Both LSEG and SHS believe education is the key to social mobility: together we can ensure vulnerable young people get the basic skills they need to lead secure adult lives. staff volunteering on key initiatives that (1) raise aspirations, (2) help parents furthest from the job market into employment and (3) improve disadvantaged children’s literacy skills. The opportunity to partner together for three years will enable us to work strategically, engaging LSEG’s staff across their sites in London and running a range of tried and tested volunteering opportunities benefiting children, young people and their families. The longer term nature of the partnership will also enable us to trial new volunteering initiatives strongly aligned to both of our objectives.